Dr. Ferguson has been a professor in the University of Florida ’s College of Journalism and Communications for 27 years. She teaches public relations research methods, ethics and social responsibility, and corporate social responsibility. She is an expert in applied communication research methods. Professor Ferguson has directed many large-scale social evaluation research and needs assessment projects on tobacco, gambling, environmental health, health communication, and disaster planning, as well as statewide opinion polls for Florida newspapers, city and county governments, the university, and numerous associations. Overall, she has been awarded more than $1.3 million in grants while at the University of Florida . Most recently she supervised a large-scale eyetrack content analysis project of 600 readers of print and online news for The Poynter Institute. In recognition of her scholarship in the area of corporate social responsibility, Dr. Ferguson has been named a Page Legacy Scholar by the Arthur W. Page Center at Penn State University College of Communications, for both 2005-2006 and 2006-2007 academic years. In that research she has conducted in depth analysis of the social responsibility programming of 100 exemplar global corporations. In recent years she has developed an expertise in corporate social responsibility in the Middle East and is now working on developing a joint masters degree with Zayed University in Dubai and Abu Dhabi and the University of Florida. As a higher education administrator, Dr. Ferguson most recently held positions as Associate Dean for Research and director of the Communication Research Center in the College of Journalism and Communications. 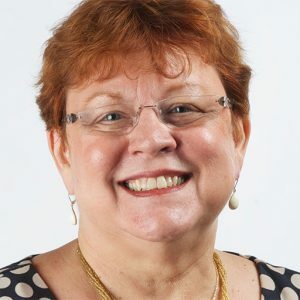 She has been a leader at the University of Florida in shared governance and serves on the UF Faculty Senate, was the Chair for the University Constitution Committee, and is the Chair of the College of Journalism and Communication’s Faculty Senate. Dr. Ferguson earned a Ph.D. in mass communication with an emphasis in evaluation research, an M.A. in journalism, and a B.A. in public relations from the University of Wisconsin-Madison. Ha, J. H., & Ferguson, M. A. (2015). Perception discrepancy of public relations functions and conflict among disciplines: South Korean public relations versus marketing professionals. Journal of Public Relations Research, 27(1), 1-21. Tao, W., & Ferguson, M. A. (2015). The overarching effects of ethical reputation regardless of CSR cause fit and information source. International Journal of Strategic Communication, 9(1), 23-43. Kim, S., & Ferguson, M. A. T. (2014). Public expectations of CSR communication: What and how to communicate CSR. Public Relations Journal, 8(3), 2. Molleda, J.C., & Ferguson, M.A. (2004). Public relations roles in Brazil: Hierarchy eclipses gender differences. Journal of Public Relations Research, 16(4), 327-351. Lee, M.J., & Ferguson, M.A. (2003, Winter). Effects of anti-tobacco advertisements based on risk-taking tendencies: Realistic fear vs. vulgar humor. Journalism & Mass Communication Quarterly, 79 (4), 945-963. Song, B., & Ferguson, M. A. (2015, September). Does CSR count? Chinese luxury consumers perspectives. Presented at 3rd International CSR Communication Conference, Slovenia. Ferguson, M.A. & Song, B. (2015, August). The importance of authenticity in corporate social responsibility: Interactions with reputation and CSR motives and program fit. Association for Education in Journalism and Mass Communication. Song, B., Wen. J & Ferguson, M.A. (2015, August).Towards effective CSR in controversial industry sectors: Examining the effect of industry sector, corporate reputation and company-cause. Association for Education in Journalism and Mass Communication. Kim, S., & Ferguson, M.A. (2014, March) What and how to communicate for effective CSR communication: Predictors to evaluate effective CSR communication. Accepted by International Public Relations Research Conference for Miami conference. Tao, W., Wilson, C., Ferguson, M.A. (2013, March) From corporate expressions to consumer impressions: Assessing the impact of corporate communication strategies on company evaluation. International Public Relations Research Conference. Tao, W., & Ferguson, M. A. (2013, August). Consumer skepticism and corporate social responsibility (CSR): The overarching effects of ethical reputation regardless of CSR cause fit and information source. Second place outstanding paper poster award presented at the Public Relations Division at the Annual Convention of Association of Educators in Journalism and Mass Communication, Washington, D. C.
Eun, Y. & Ferguson, M.A. (2012, May) Examining the effects of corporate social responsibility logo. Paper presented to International Communication Association, Phoenix, Arizona. Lee, S., Kang, E., Ferguson, M.A. (2012, August) Public relations division: Corporate social responsibility communication on the Internet: A content analysis of Fortune 100 companies. Association for Education in Journalism and Mass Communication. Kim, Y. & Ferguson, M.A. (2010, June) Corporate social responsibility: Impact of perceived motives and prior reputation on effects of fit of CSR programs. Paper presented to International Communication Association, Singapore. Ferguson, M. A., (2009, March). Awards for corporate social responsibility: Effects of region of corporate headquarters, product category, profits, and revenues. Paper presented to International Public Relations Research Conference, Miami, Florida. Ferguson, M.A., (2008, January). Partnering and global corporate social responsibility. Paper presented to 57th Annual Latin America Conference, Uniting for Solutions. Multi-Sector Partnerships and Strategic Communications in the Americas: Business, Community, Government, Gainesville, Florida. Ferguson, M.A. & Popescu, C. (2008, March). A comparative study of social responsibility activities by oil and petroleum companies: Regional cultures, customs and traditions. Presented at the 11th International Public Relations Research Conference, Miami, FL. Shekarrizh, H., Kalupa, F.B., & Ferguson, M. A. (2007, October). Iran’s launch of Press TV in English. Presented at the 12th Annual Conference, Arab-U.S. Association for Communication Educators, Dubai, UAE. Ferguson, M.A., (2007, August). Measuring the effectiveness of public relations activities from a global corporate social responsibility paradigm. Invited presentation to the Fourth Scientific Festival and Third International Symposium” Planning and Measuring the Effectiveness of Public Relations Programs,” Tehran, Iran. Ferguson, M.A. & Popescu, C. (2007, March). Social responsibility in 100 global corporations: Public relations and regional influence. Presented at the Tenth International Public Relations Research Conference, Miami, FL. Lim, J. S., Lin, S. Y., Ferguson, M. A., & Kiousis, S. (2006, July). The effect of message sidedness on CSR perceptions and company evaluations. Presented at the 2006 International Communication Association conference, Dresden, Germany. Ferguson, M.A., Popescu, C., & Collins, K. (2006, March). Public relations’ influence on socially responsible corporations. Presented at the Ninth International Public Relations Research Conference, Miami, FL., $1,000 Top 3 paper award. Jeevanantham, V., Shapira, N.A., Mann G.D., & Ferguson M.A. (2004, April). Can substance use predict gambling behavior? Society for Biological Psychiatry Program. Shapira, N.A., Frost-Pineda, K., Lazoritz, M., Ferguson, M.A., Yang, M.C.K., & Gold, M.S. (2003, November). Is speeding a form of gambling? Evaluation from the Florida Adolescent Gambling Prevalence Study. Presented at annual meeting of The Society of Neuroscience, New Orleans, LA. Lazoritz, M., Shapira, N.A., Ferguson, M.A., Frost-Pineda, K., & Gold, M.S. (2003, October). Adolescent pathological gambling: A descriptive study. Presented at annual meeting of American Academy of Child and Adolescent Psychiatry, Miami, FL. Arthur W. Page Center for Integrity in Public Communications at Penn State. Mary Ann Ferguson & Baobao Song. Effective CSR Communication: Engaging consumers’ prosocial behavior will explore how organizations can more effectively encourage and engage consumers’ prosocial behavior through CSR communication. $5000(Academic Year 2015-2016). Arthur W. Page Center at Penn State. Sora Kim & Mary Ann Ferguson. “Predictors to evaluate effective CSR communications”. $ 10,000 (Academic Year 2012-2013). Arthur W. Page Center at Penn State. Interviews with executive practitioners explaining the influence of public relations in 100 socially responsible global corporations: A guidebook of best practices. Principal Investigator, $11,000 (Academic Year 2006-07). Poynter Institute for Media Studies. Content analysis of eye tracking data for newspapers and online News. Principal Investigator, $48,264 (2006). Arthur W. Page Center at Penn State. Fostering ethics and social responsibility in corporations: A study of best practices in global corporations, Principal Investigator, $10,000 (Academic Year 2005-06). Dr. Ferguson has conducted research on many health related topics including tobacco, gambling, environmental health, and disaster planning. Her other applied research studies include several statewide political polls for Florida newspapers, public opinion polls of residents for city and county government, polls of minorities, polls of homeowners, polls of association members, and dozens of readership and viewership studies. An area of Dr. Ferguson’s research is in communicating about health risks. This work is primarily concerned with how individual differences in risk taking affect attention to and acceptance of persuasive messages designed to reduce risky behaviors. She also conducts research in corporate social responsibility and ethics.